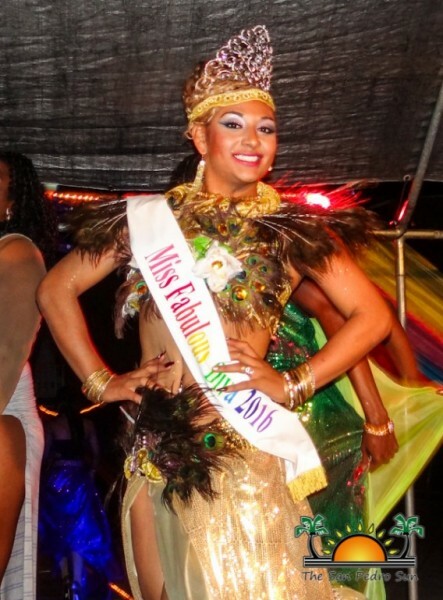 « Older: Miss Carnival Pageant is around the corner! 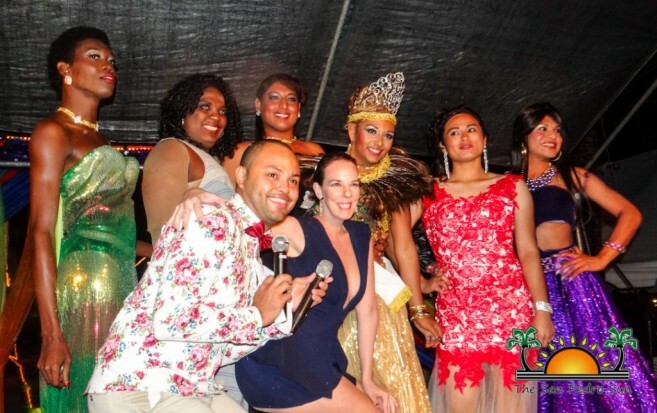 On Friday, February 5th, Amber Bar and Grill at Caribbean Villas Resort hosted a pageant like no other, with the presentation of the third annual Miss Fabulous Diva. Not even the inclement weather could keep spectators away from what promised to be a fierce show of glitz and glamour. 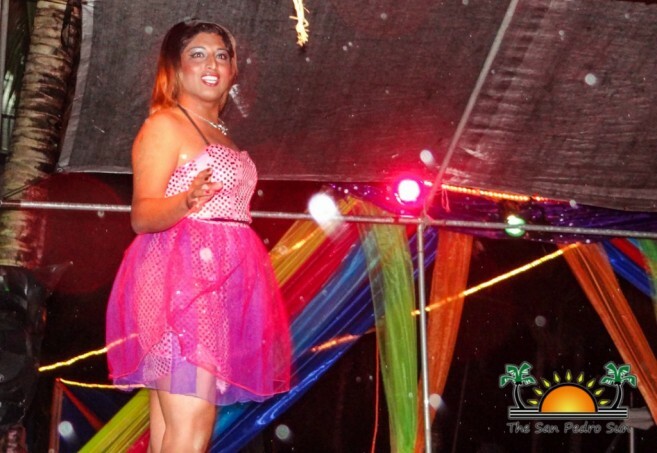 The LGBT (lesbian, gay, bisexual, and transgender) themed pageant had a great turnout, with six lovely contestants vying for the crown of Miss Fabulous Diva 2016-2017. After an amazing two-hour show, it was Caye Caulker’s Jessie Andrewin Grey who wowed the judges, taking the crown and title. Organized by DJ Debbie, in partnership with Amber Bar and Grill and Caribbean Villas Resort, the pageant commenced shortly after 9:30PM. In the first segments, the ladies took to the stage in their ‘pretty in pink’ dresses. Master of Ceremony Paul and Mistress of Cermonies Nicole introduced the six contestants to a cheering crowd. Vying from the title were Markisha Ling, Jimena Alexsandra Monterubio, Bianca, Markasha Monroe, Arianna Sheena Bowen and Jessie Adrewin Grey. After their short introduction, the participants retreated back stage to prepare for the next segment. During intermission, the audience was entertained with performances by past Miss Fabulous Divs queens and by MC Nicole. The pageant included swimwear, talent, formal gown and question and answer segments. All of the participants performed excellently in each of the segment. Of course the talent segment was the most entertaining, as the participants delighted the crowd with upbeat dance and musical routines. During the formal gown segment, the contestants’ creativity shone was many graced the stage with custome made dresses. It was truly a spectacular show, but in the end, only one could take the crown. Judges took time to deliberate before handing over the envelope with the winner’s name. Before announcing the winner, several other awards were issued out. Bianca took the prize for best introductory outfit, best swimwear and best evening gown. The best talent award went to Arianna, who portrayed a high school girl transitioning to a diva. Jessie was awarded the prize for the best Question and Answer. And taking the Miss Fabulous Diva 2016-2017 title and crown was Jessie Adrewin Grey, while Bianca was awarded first runner up. “A humble thank you to everyone that came out to the pageant. I am very appreciative of what you have done for me. I know that I won the true diva title. A diva has to be the most beautiful, charismatic, unique and talented,” said Jessie, following her crowning. After the pageant, attendees relocated to Pedro’s Bar where the official after-party was held. Organizers would like to thank everyone who made the Miss Fabulous Diva Pageant a huge success!